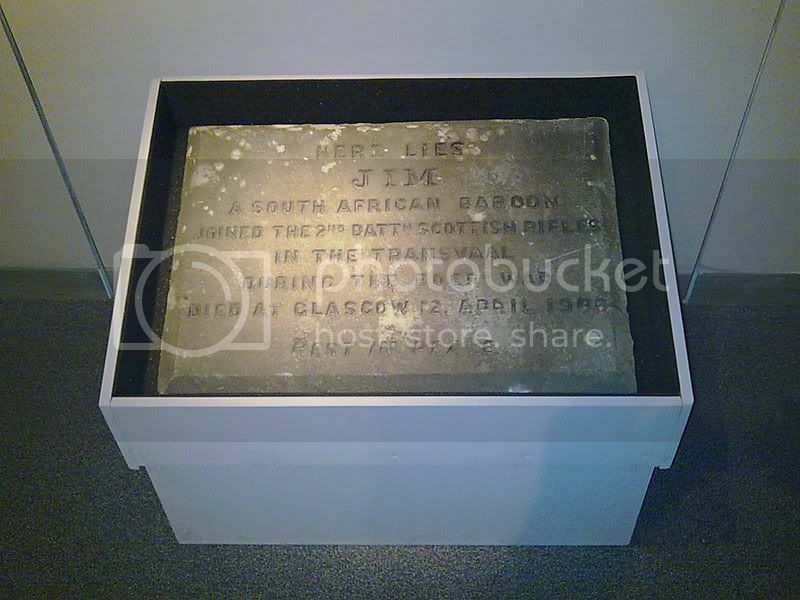 The Scottish War Graves Project :: View topic - Jim the Baboon! Posted: Wed Jul 09, 2008 11:02 pm Post subject: Jim the Baboon! 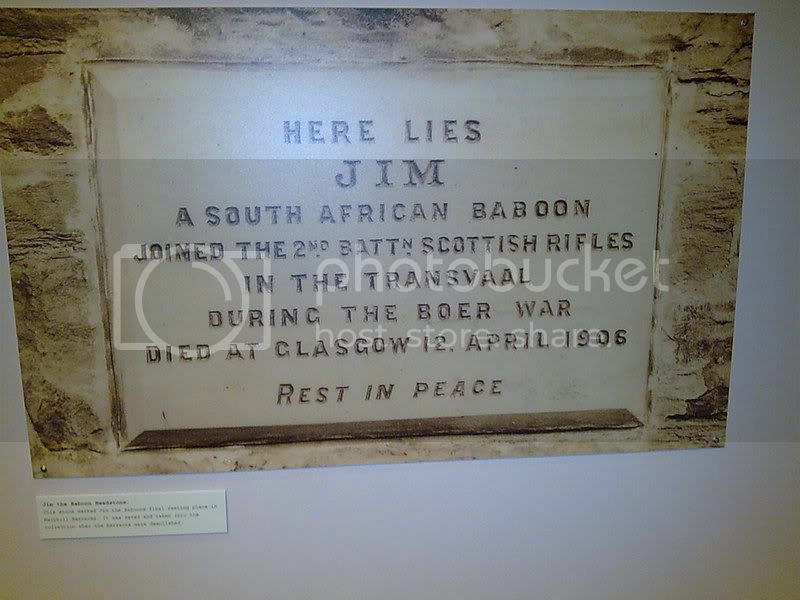 Jim was a baboon which was adopted by the 2nd Scottish Rifles on their tour of duty during the Boer War in South Africa. When they came home, they brought Jim back with them. Upon his death in 1906 he was buried in the grounds of Maryhill Barracks in Glasgow, and when the barracks were closed and demolished his gravestone was donated to the Regimental Museum of the Cameronians. It has been in storage for some time, but is now on display as part of the temporary exhibition "At Ease!" which runs until 2009 at Low Parks Museum in Hamilton. the exhibition is well worth visiting for this and many other fascinating exhibits. I think I win the prize for most unusual gravestone posted on this forum! Yip, you certainly win the "baboon" prize (as opposed to a boobie prize ) for the most unusual. That set me wracking my brain. I am sure I have seen a gravestone to a regimental mascot somewhere, could it have been behind the guardroom in Redford Barracks? Nothing as exotic as a baboon though - I think it was a goat.